The leak could very well be true. Let's see if I'm a preorder character or not. Was that Raiden or some sort of Raiden clone/flunky? There are two timelines, the original Trilogy and the dark timeline. This is possibly Dark Raiden. You can also customize outfits in this game like Injustice 2 so light as well be a unique outfit. 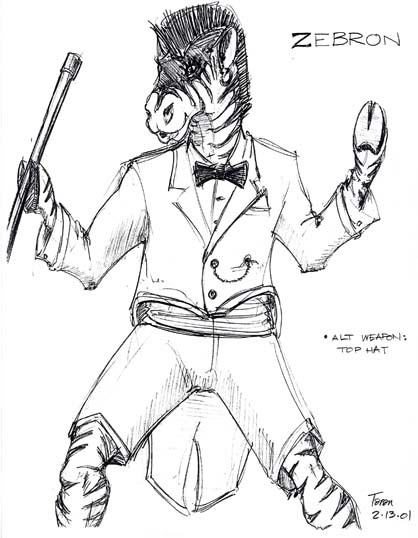 Given the third and brand new character standing by a giant hourglass, and the second scorpion (probably a past scorp) theres going to be timeline fuckery involved again. That pretty much means that literally any character and version of that character can show up from any point in this game if the starting point goes back further if my guess is right. The preorder character is Shao Kahn, check the trailer on the MK twitter. There's also a beta. Give me Sonya Blade or give me death. Probably too much to ask for a competitive version of MK that gets long term support like SFV as a GaaS I guess? 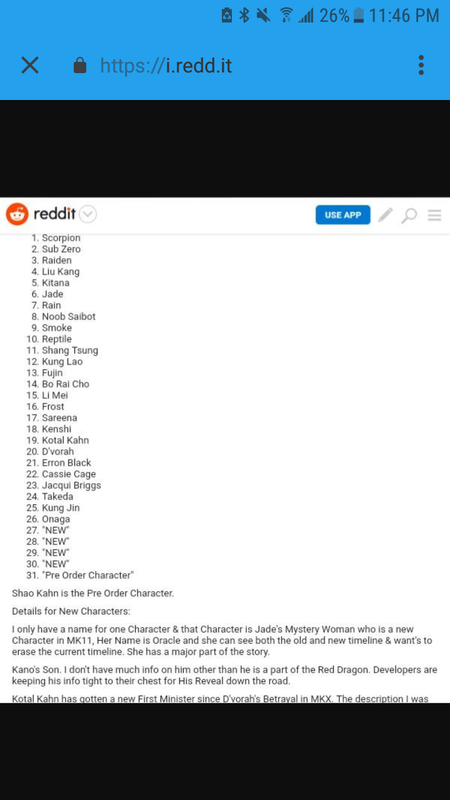 Rain, Skarlet, Kenshi and Jade please! I'd love some more magical looking stages, and not just gritty ones. The new Courtyard looks awesome. I just want Smoke, Noob and Rain. Cant wait for my man Reptile to be announced. Didn't one of the leaks say Shao Kahn was a preorder character. Looks like it was legit. Hoping for Noob and Smoke. Not as one character this time. Rain would also be good. Also at least one cyborg. Also please give me more female characters that aren't comically sexed up. Then I'll be good. Thanks. Was this announced at TGA? Didn't get to watch the whole thing. This is like the 2nd time I've seen someone ask for Havik and that's already super strange to me. Bonus points for including Hotaru though. Pre-order only stuff again? This kills the hype for me sorry. Shame , it was my highlight of the show. I hope there will be another complete version like Mortal Kombat XL (which wasn't 100% complete and you still needed to purchase extra costumes). I think you can depend on all non-story-murdered returning characters. Btw, the second Scorpion, was that the one from the first timeline or just another alternate costume? If this happens then different timelines may be entwined and involved. It would be so cool to see that evil Raiden being the surviving one from the first timeline. Oh man, if only this is true. That woudl be epic. Jade. I really want to see Jade back. I loved the designs they had for Kitana, and it left me with the feeling of what could have been. I'd also like to see Reptile back. MK lately has a trend going where they invite popular horror figures into the series. I'm neutral to the additions, but I'm curious as to who they might include this time around. The leak is real. Really weird to ignore it at this point. Sorry to be that annoying guy, but what is the name of the music in the trailer? Liked the sound of it. Original Track “Immortal” by 21 Savage. I think it's an exclusive song made for the game. Hopefully Frost, Sareena and Li Mei are in. No problem buddy. MK used good songs for their reveals like the Another Way To Die from Disturbed. I know publishers can't wait to announce pre-orders as soon as possible, and I'm mostly fine with it, but can they at least wait until at least showing gameplay first?! Also, all I need is Kitana. Would you consider the two daughters from X to be heavily sexualized? Genuinely curious. I don't think so no, but honestly I can't remember them very well anymore. I played only a few MKX months ago and the kids didn't leave much of an impression. 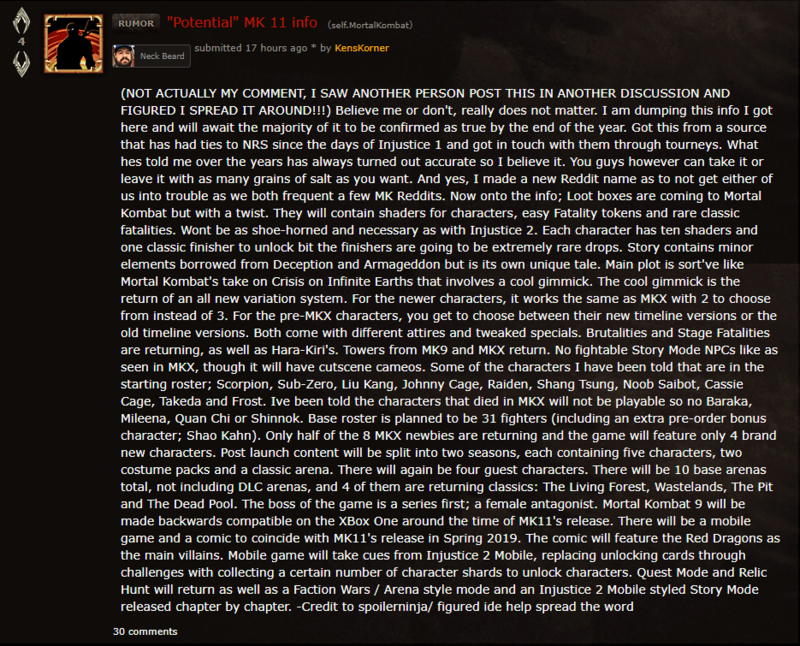 It's more to do with every single female character before MKX. Given the logo matches up with MK II, I am really hoping they are pulling from MK2 history/timeline and the means human Reptile. Can someone explain the leak/link me to it? I must have missed it. What does the leak say? That Shao Kahn looking guy probably is Reiko. Kotal, Erron, Reptile, Ermac, Kitana and Liu Kang are a given. Bring back Stryker you cowards. Edit: just watched the trailer, the music was bad and out of place. I imagine I'll get about 5 or maybe 6 of those. I think injustice 2 proved that NR finally learned how to properly model female faces (or faces in general for that matter). I was referring to this here.